still, without love, I’m nothing at all. for love rejoices in the truth. it never turns, it never fails. but love is the greatest of these. Amen. From Psalter: A Sequence of Catholic Sonnets (Truman State University Press, 2011). 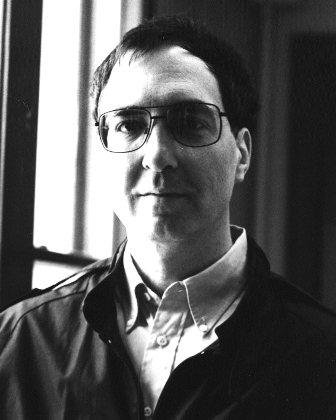 William Baer is a writer, editor, translator, and professor. Born in Geneva, New York, and raised in The Bronx and New Jersey, he credits Poe, Borges, Nemerov, and Dickey as being his greatest influences. William was editor of The Formalist, a small journal of metrical poetry, from 1990-2004, is the author of fifteen books, and was recently named a Guggenheim fellow. When he isn’t working with words, he enjoys sports (especially boxing) and cinema (he’s a critic for Crisis magazine). William currently lives with his family in Indiana, where he teaches at the University of Evansville and is having a lot of fun writing musicals. Beautifully does--true to the source, yet it makes the original new to this generation!